Curtis Palmer recently joined ARA, A Newmark Company as executive managing director in Los Angeles, having previously served as executive vice president at CBRE from 2013 to 2015 where he ran the Southern California Institutional Properties Multifamily Group. Mr. Palmer’s team at CBRE was involved in $3.5 billion of multifamily transactions throughout the West Coast. Prior to joining CBRE in February 2013, Mr. Palmer was a founding partner of Multi-Housing Capital Advisors (MHCA). Since 2009 MHCA has sold, financed and equitized $2 billion in apartment and office product. In 2010, MHCA represented Gables Residential and CIM Group in the $214 million sale of six Class A apartments, including the sale of City Vista in Washington, D.C., as well as properties in Houston, Dallas and Los Angeles. Before co-founding MHCA, Mr. Palmer was managing director at Transwestern Multi-Housing Capital Advisors from 2004 to January 2009. During his tenure there, Mr. Palmer completed over $8 billion of multifamily transactions including sales, debt and equity financing. Major clients included Fairfield Residential, Archstone-Smith, Equity Residential, BlackRock, DLJ Real Estate Capital Partners/Credit-Suisse, Camden Property Trust, Morgan Stanley Real Estate, Essex Property Trust, AIMCO, CIM Group, JH Snyder Company, Canyon-Johnson, Oaktree Capital Management, Blackstone, Sequoia Equities, Prudential and Legacy Partners. 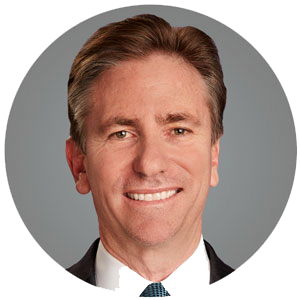 From 2000 to 2003, Mr. Palmer served as senior managing director with Insignia/ESG where he was responsible for running the company’s west coast multifamily platform. During his tenure there, he was involved in over $5 billion of apartment sales transactions. Also, in 2003 Mr. Palmer’s team executed the recapitalization of the $182 million Thurman Portfolio on behalf of Fifteen Group. Thurman was a 6,868-unit portfolio comprising 26 properties located in 8 states. From 1993 to 1998, Mr. Palmer was a managing director for the financial services group of Aztec Group, Inc. in Miami, Florida where he was consistently one of the top producing investment sales brokers in the country. At the end of his tenure there, Palmer represented Regency Windsor in the sale of their 7,800-unit, 10-state portfolio to AIMCO for $380 million. His team also sold the Lennar Corporate Portfolio and the Marco Realty Portfolio with an aggregate value of $350 million. Mr. Palmer also spend time as a vice president for Ocwen Financial Corporation Discounted Loan Group in West Palm Beach, Florida and prior to that he spent time as vice president at the Yarmouth Group in New York City where he ran dispositions nationwide for the company.